The dazzling featured kitchen embraces art deco design elements, resulting in an eclectic and unique room. 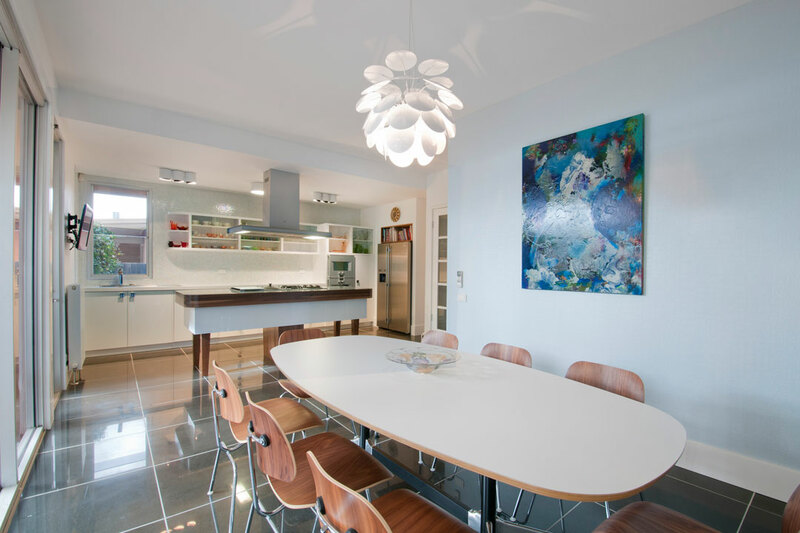 Designed by the client, an interior designer, the room was built by Vogue Kitchens. 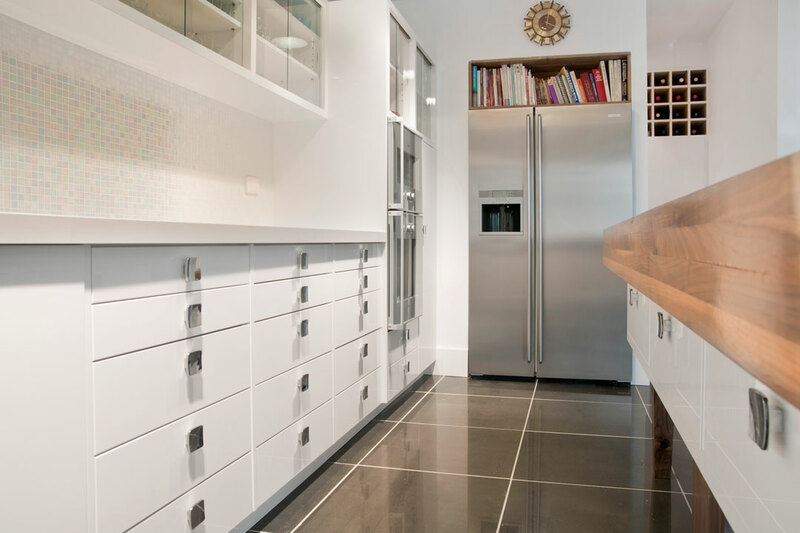 Packed with quality products, the kitchen has Emporite vivid white gloss doors and panels and Blum soft-close drawers with striking Hafaele handles. 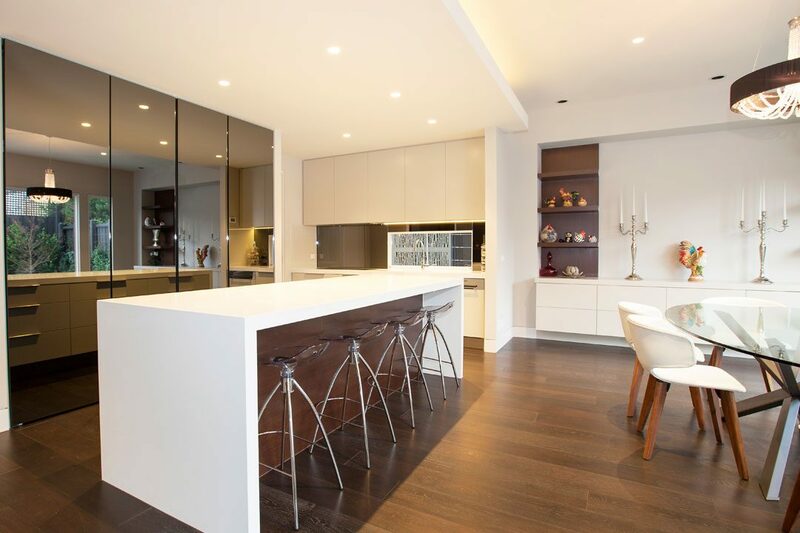 It has also been extensively fitted out with Gaggenau appliances. 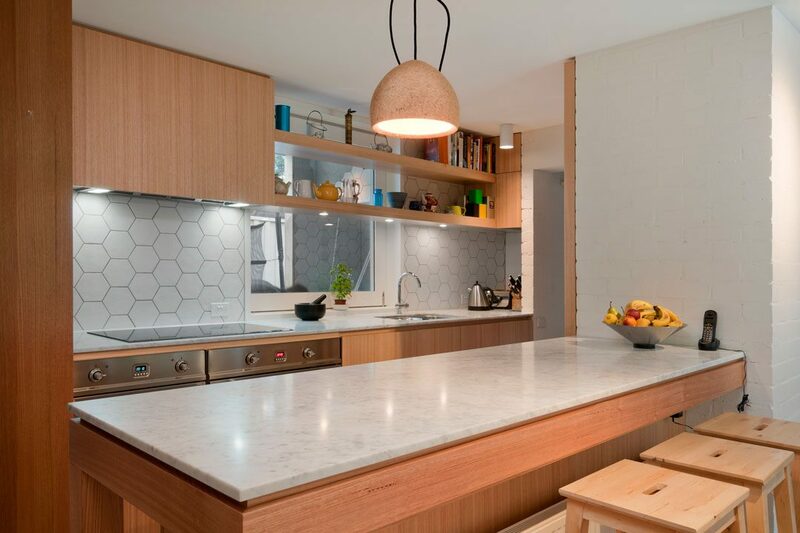 The real standout feature in this kitchen, though, is the island bench. 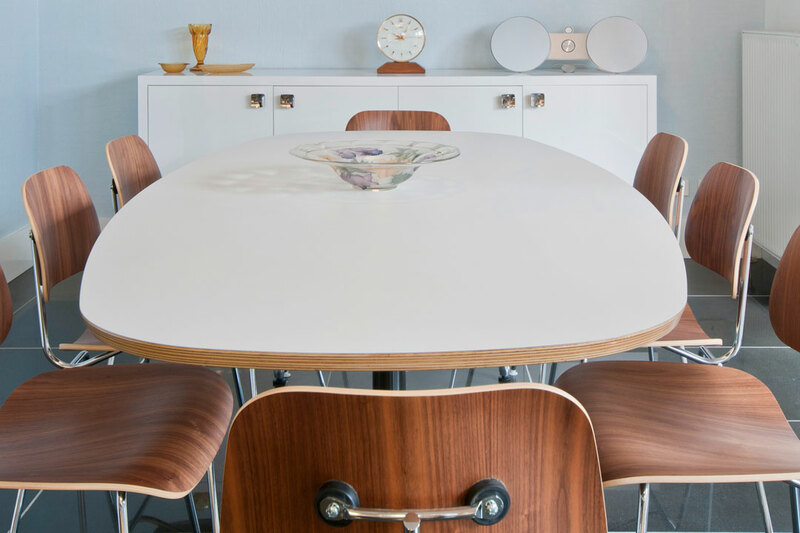 Fitting perfectly with the strong art deco theme of the kitchen and the rest of the home, this stunning bench is as much a piece of furniture as it is a functional place for food preparation and serving. The bench looks like an actual table and is appealing and inviting to anyone entering the room. It is also home to the kitchen’s hotplates. 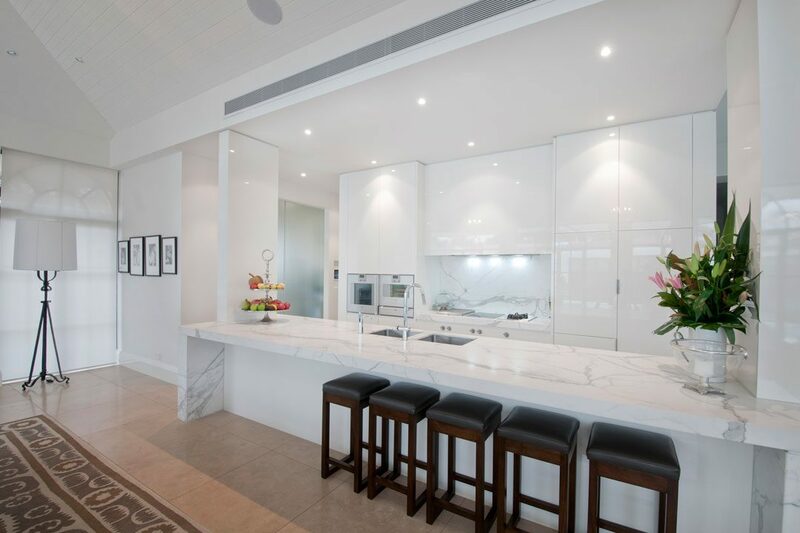 Topped with stunning CaesarStone Mosaici Carbone – a composite of first-grade off-cuts of other white CaesarStone products mixed with a black base – the island benchtop has a unique look that complements the feel of the room. 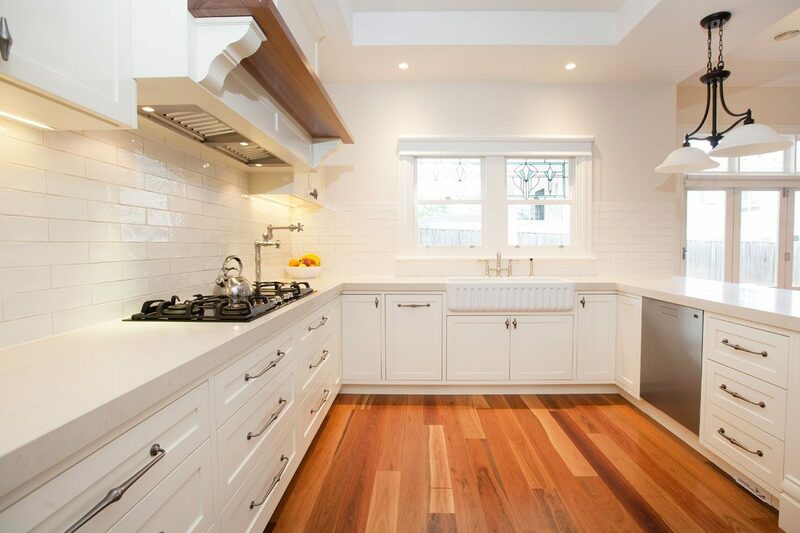 CaesarStone in Pure White has also been used for the bench that houses the sink, providing a subtle yet beautiful contrasting counterpoint to the high-impact island benchtop. 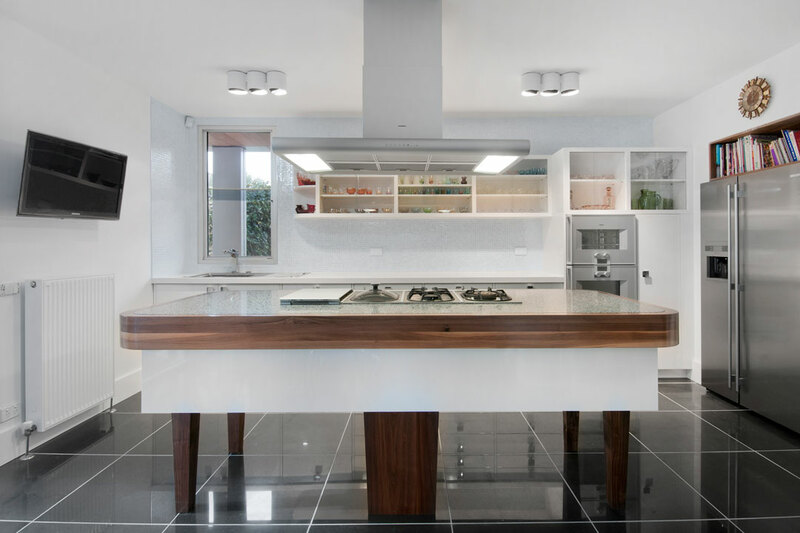 Distinctive American walnut was used as legs for the bench, and is also wrapped around the benchtop. Vogue Kitchens encountered some difficulty in shaping the walnut edging, but the hard work was worth it, with the bench looking like a work of art itself. Vogue Kitchens’ proprietor Joe Luci started Vogue Kitchens in 1996. 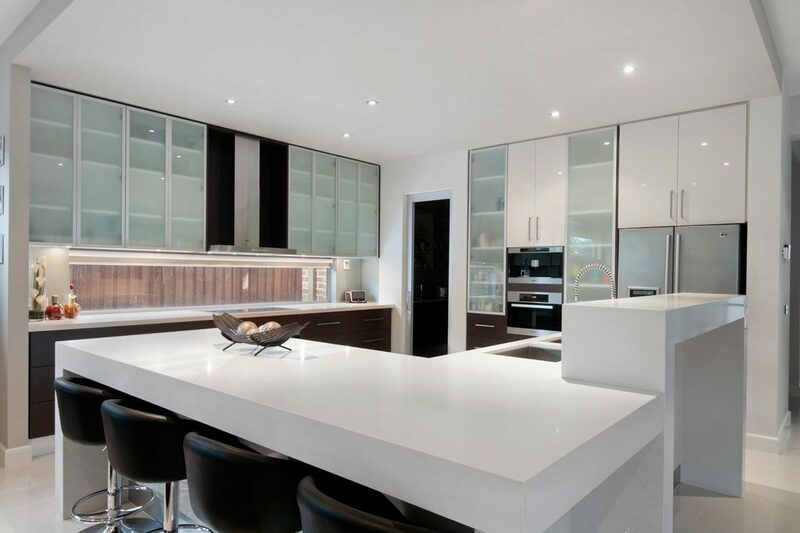 The company has an experienced team of cabinet makers and builds all types of kitchens. 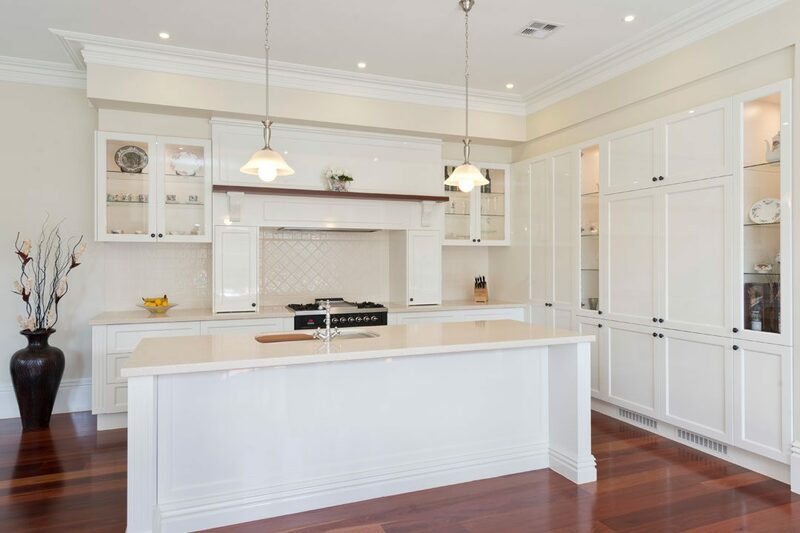 Vogue Kitchens works throughout Victoria and does a lot of made-to-order kitchens, specialising in intricate, detailed work. 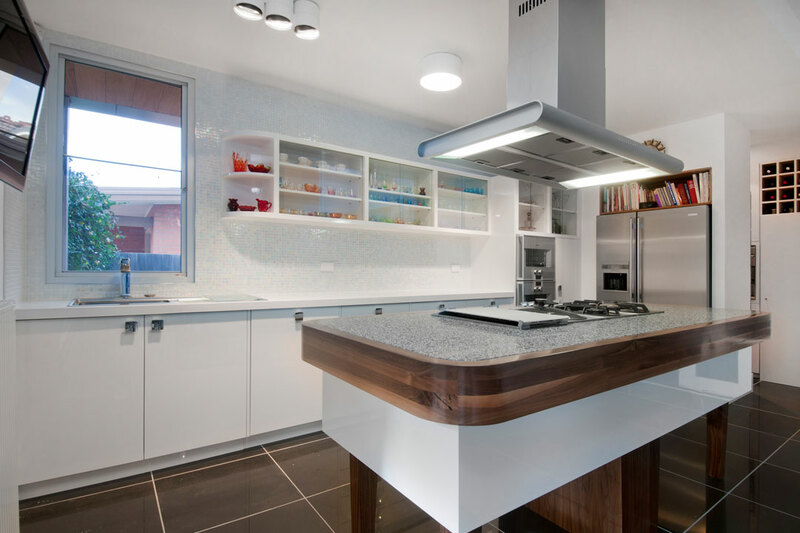 If you have an elaborate or unusual vision for your kitchen, Vogue Kitchens can help you build it.